In 2016, the National Association of Home Builders estimated there were about 200,000 unfilled construction jobs in the United States, an 81 percent increase from 2014. With the steady decline in skilled labor causing renovation costs to soar, what effect is this having on the New Orleans housing market? If you are thinking of selling your New Orleans home, you have most likely considered which improvement projects might increase the sale price. Judy Dalton of Realtor.com recently ranked the top home renovations of 2017 based on return on investment, and the list includes fiberglass attic insulation, a steel entry door, manufactured-stone exterior veneers, minor kitchen remodels, and garage door replacement. No matter what costly home repairs you may be considering, you may find them more expensive than expected due to the steady decline of skilled labor. A large majority of those working in skilled trades in the United States are immigrants, or over age 45, Jered Sturm reports for BiggerPockets.com. In 2012, 53 percent of skilled-trade workers in the United States were 45 years old or older, according to EMSI, and 18.6 percent were between the ages of 55 and 64. The overall workforce percentages, in which 44 percent of workers were at least 45, and 15.5 percent were between 55 and 64, do not reveal as much of an effect. In 2015, the average age of an HVAC employee was about 55 years old, Brian Hooper, vice president of MSI Mechanical Systems of Salem, New Hampshire, told Lou Carlozo of IE3Media.com. In addition, workers in the physically demanding skilled trades are more likely to retire at age 65 rather than keep working. In the skilled trades, 1.9 percent of workers are 65 or older, compared with 4.8 percent of the overall workforce, Joshua Wright reports for Forbes. The recent political trend toward restricting immigration is likely to have an outsize effect on the construction trades. In the 2013 American Community survey of the U.S. Census Bureau, foreign-born workers accounted for almost 23 percent of the construction labor force, and a larger share, 28 percent, in the construction trades. 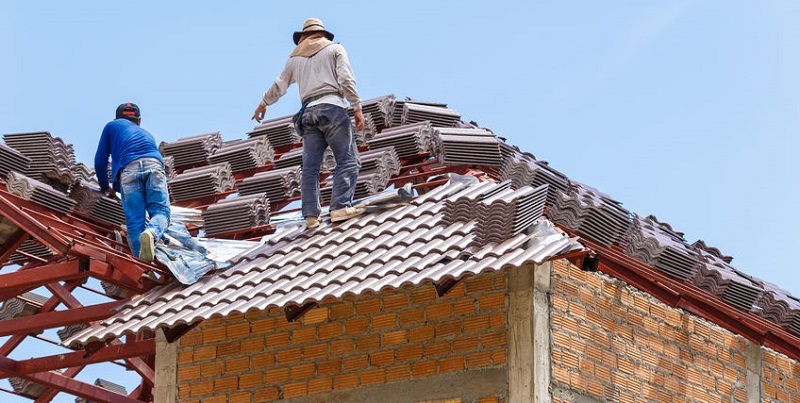 The concentration of immigrants is particularly high in some of the trades needed to build a home, Sturm reports, such as carpentry, painting, drywall/ceiling tile installation, brick masonry, and construction labor. Plus, in 2013, 84 percent of the immigrant workers in the construction agency were from Mexico and other Central and South American countries; immigration from these places has been falling since 2000. Companies are also less likely to invest in training undocumented immigrants when the current political climate creates uncertainty amid changing laws and the threat of deportation. The 2007-08 recession also had a significant impact on the number of construction workers; about 25 percent of them lost their jobs during the national slowdown, Reuters reported, and many moved on to other fields. In 2016, the National Association of Home Builders estimated there were about 200,000 unfilled construction jobs in the United States, an 81 percent increase from 2014. If your home is due for expensive repairs that you can’t afford, it may be time for a change of scene. Big Easy Buyers offers resources for homeowners who want to sell their houses fast and move on with their lives. Contact Big Easy Buyers at (504) 513-7878 to discuss solutions for expensive home repairs today.